The second cookbook by the breakout star of The Great British Bake Off 2017 and the host of hit Channel 4 show, Liam Bakes. Liam Charles is back with new creations and flavour mash-ups that are guaranteed to get you cooking! Liam's Kitchen Social is a collection of 70 brand new sweet and savoury recipes that are perfect for any occasion. Whether you're having a cosy night in, going to a family get-together or hanging out with friends, Liam has a delicious, quick and easy bake for you. Full of beautiful photography, easy-to-follow recipes and mouth-watering flavours, this cookbook is a must-have for bakers. Chapters include: Family, Friends, Night In, Night Out and Brunch. 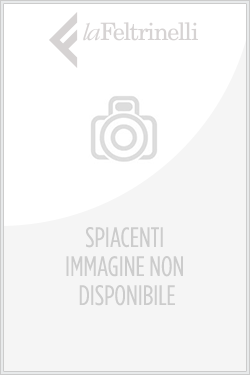 Acquista Liam's Weekday Eats and Weekend Treats in Epub: dopo aver letto l’ebook Liam's Weekday Eats and Weekend Treats di Liam Charles ti invitiamo a lasciarci una Recensione qui sotto: sarà utile agli utenti che non abbiano ancora letto questo libro e che vogliano avere delle opinioni altrui. L’opinione su di un libro è molto soggettiva e per questo leggere eventuali recensioni negative non ci dovrà frenare dall’acquisto, anzi dovrà spingerci ad acquistare il libro in fretta per poter dire la nostra ed eventualmente smentire quanto commentato da altri, contribuendo ad arricchire più possibile i commenti e dare sempre più spunti di confronto al pubblico online.